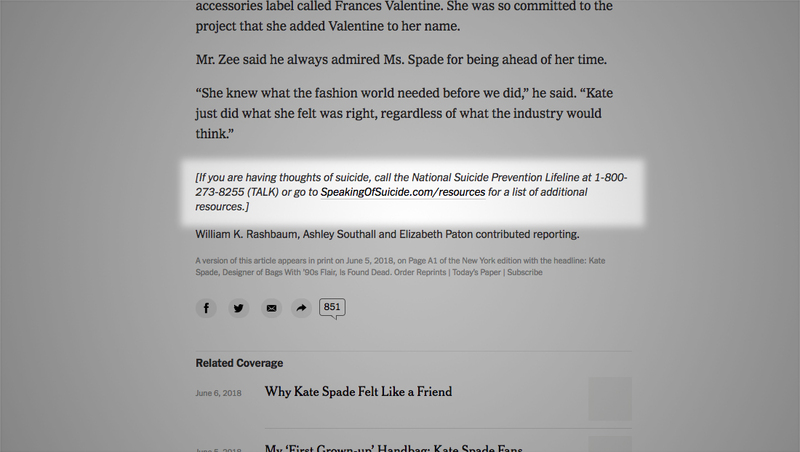 Following the high profile suicides of fashion designer Kate Spade and chef and storytelling Anthony Bourdain, many media outlets have been sharing information about suicide prevention. 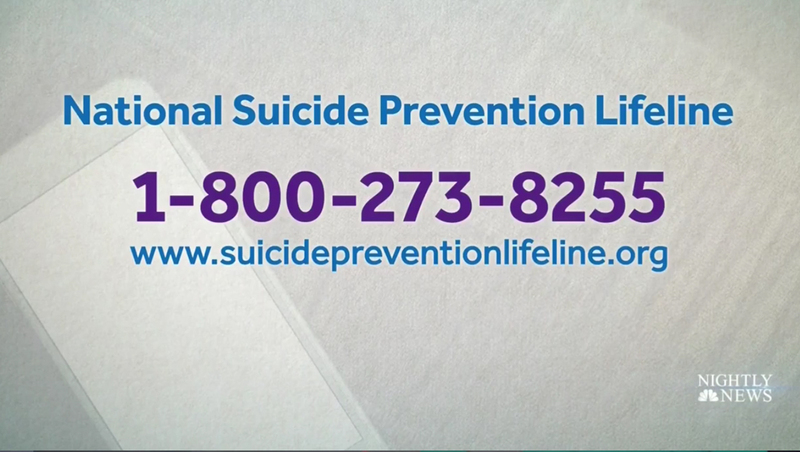 Most networks are displaying the National Suicide Prevention Lifeline’s phone number and website. 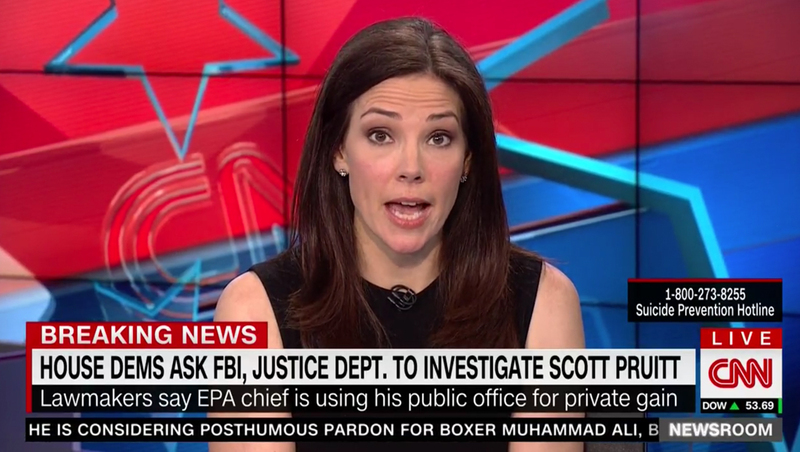 Often the information is given out during, or after, stories about either Spade or Bourdain, but CNN has also been keeping a small bug on screen during other coverage. 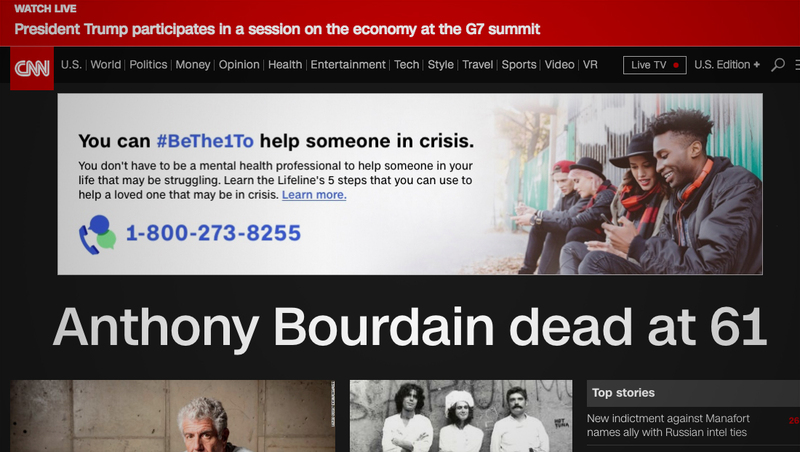 CNN, which also devoted much of its homepage to remembering Bourdain on Friday, June 8, 2018, also included a large banner at the top of its homepage.